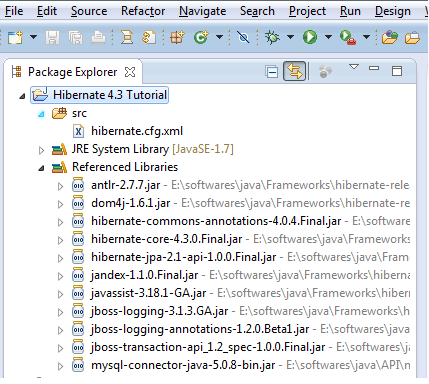 Create new java project in Eclipse and set jars from %HIBERNATE_HOME%/lib/required in class-path. Also get the java connector for database that you are planning to use and put it in class path of your project. Also in order to get some good tables with data I downloaded and imported northwind database from following location. This will give us list of tables that we can play with while establishing various relationships. So following will be what your eclipse project will look like. Once these things are ready we will create one utility class that will provide us an instance of HibernateSession and also the same class will have one utility method to close the session. These two methods we will use in our DAO classes for getting and releasing Hibernate Sessions. 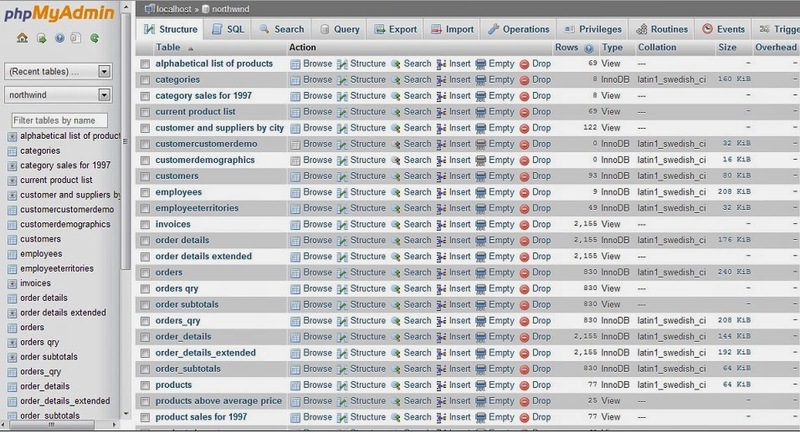 Notice that we are using StandardServiceRegistryBuilder class to build the sessionFactory. Now we will select some entity from northwind database to start with. 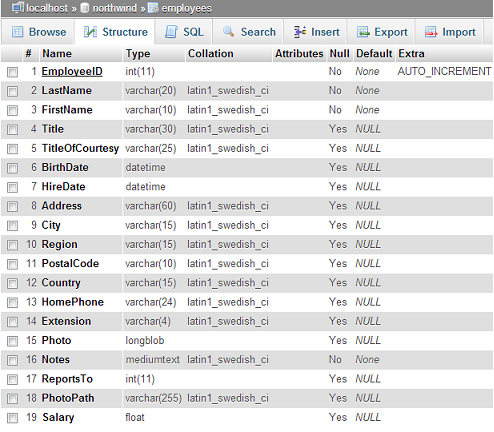 Following is snapshot of northwind database in MySQL. @Entity: To tell hibernate that this is a hibernate/persistence entity. @Table: Map this entity to appropriate database table. @Id: To assign identifier column by which this entity will be identified. @Column: To map instance variable of class to appropriate column in database table. We will start with simple bean class just to see basics of Hibernate. Later we will make it more complex. So we will use only EmployeeID, FirstName and LastName columns from this table. Following will be our bean class. Though almost everything is ready, we are yet to tell hibernate container/api about this class. This we will do by adding following line in our hibernate.cfg.xml file. Bean class where values will be stored and passed. Configuration file that has information about what class to be used. Utility class to get and release hibernate session. Let create a dao class and temporarily have a main method in it (later this will be called from service class) to test if we can get value from database. //Temporary method...later will be removed once call is made from service class. Following will be output of this code. Hibernate: select employeebe0_.EmployeeID as Employee1_0_0_, employeebe0_.FirstName as FirstNam2_0_0_, employeebe0_.LastName as LastName3_0_0_ from employees employeebe0_ where employeebe0_.EmployeeID=?